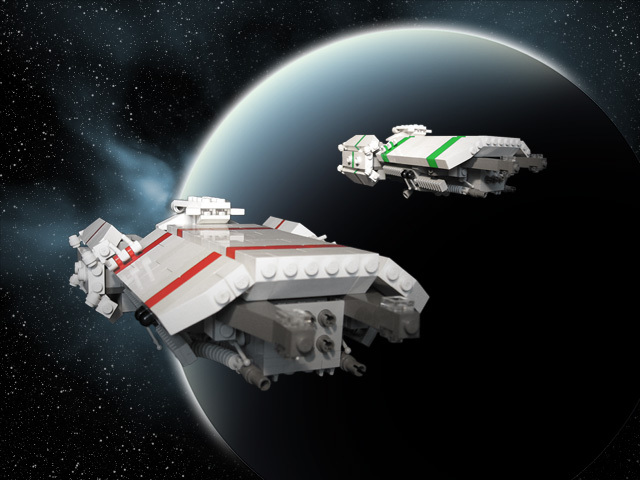 Dual mircoscale battleship's for the Plutocracy of the Suns by Brickshelf user Helico. The part that pulled me into these was the great colour schemes. Blocked out perfectly, it makes the ships look better, even if the build isn't the best. A smooth topside hull and chunk bottomside greebs best describe this ship. There aren't enough pictures for me to tell how exactly the builder angled the top side hull, though several techniques come to mind that would produce that effect. The minifig hands as guns make me wonder if the builder has taken some inspiration for myself or some other builders I know that use that technique. 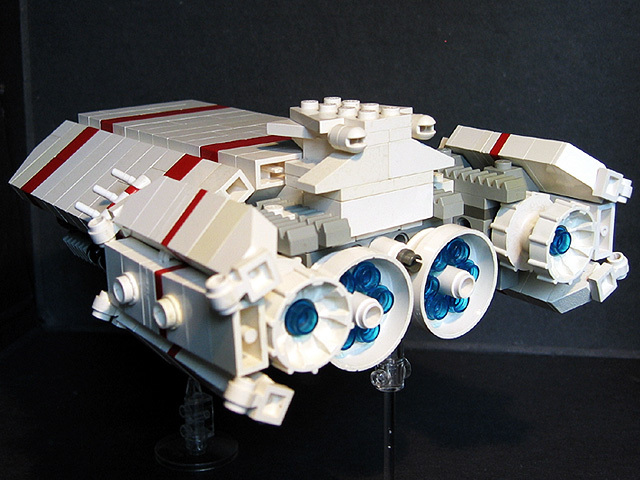 There isn't much to say on this ship, there is definitely a lack of pictures available for such a neat looking MOC. 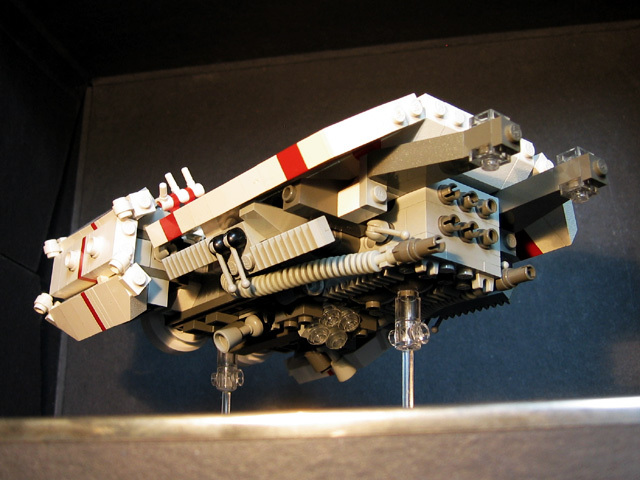 The technique isn't the best I've seen, but the builder still pulls it off and makes an awesome ship. It appears to be the only space on his b-shelf, sans an odd looking mecha. Keep an eye on this one!